Criticism from social media about Maharagama mayor ... for trying to make public address him as 'Sir'! for trying to make public address him as 'Sir'! 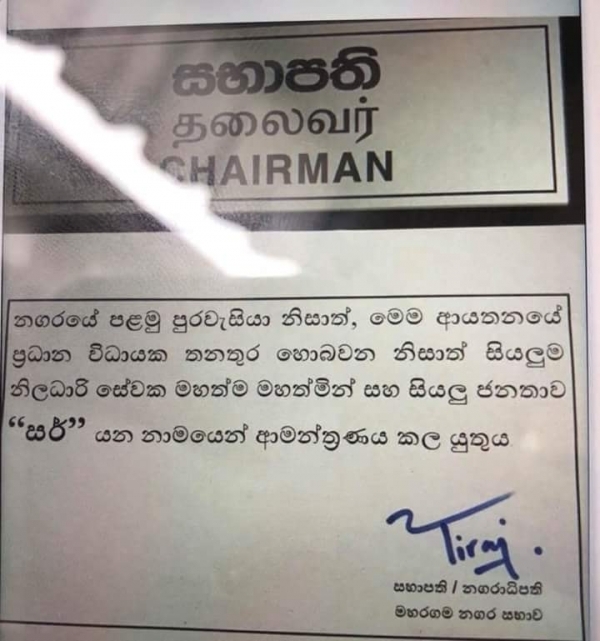 Tiraj Piyaratna who was selected as mayor to Maharagama municipality has made a comment where he has mentioned the manner in which he should e addressed within his office and after this has circulated within social media, several criticisms have begun to flare up. of votes because of getting the support of 'Pohottuwa', finally ended up as the mayor. After his education at Colombo Royal College, he is known as someone who had attached himself to elections after launching himself into social welfare activities while being engaged in a course of dressmaking. 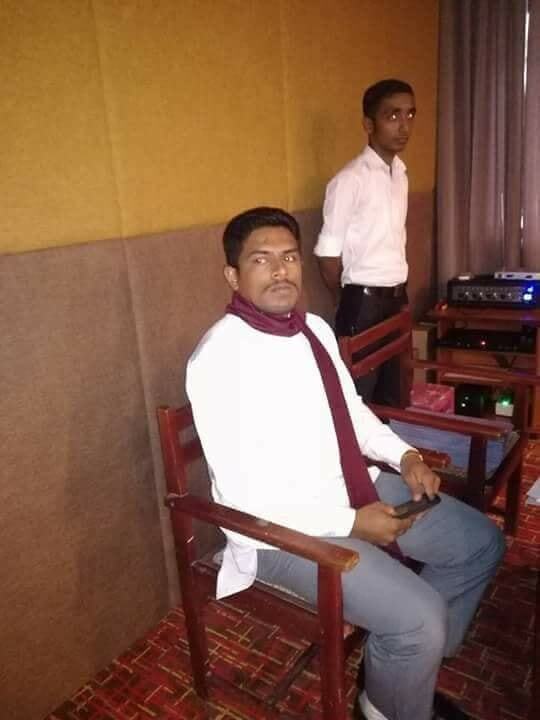 Someone browsing through his Facebook page would come to know he is a person who is a strong supporter of Sri Lanka Podu Jana Peramuna as well as of Mahinda Rajapaksa. What he has said from the announcement he has pasted at the municipality is that since he is the first citizen in Maharagama and the first chief executive of the municipality, he should be addressed to as 'Sir'.